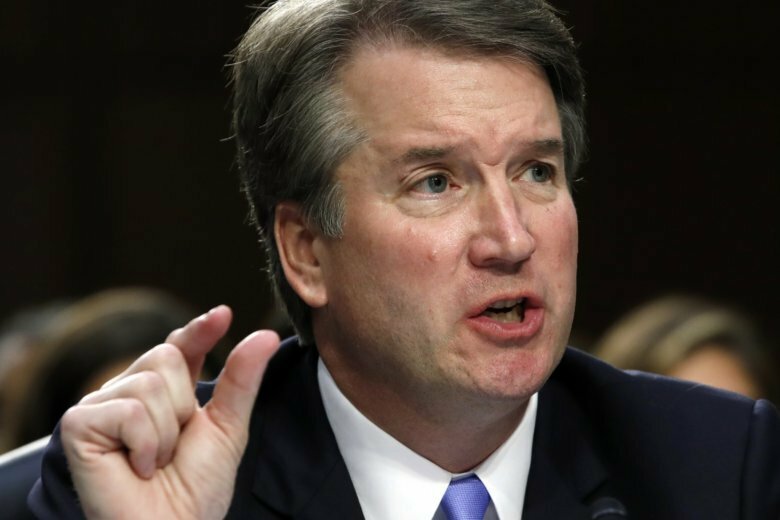 The FBI has confirmed that it received unspecified information about Supreme Court nominee Brett Kavanaugh this week. Sen. Dianne Feinstein (FYN’-styn), the top Democrat on the Senate Judiciary Committee, said Thursday that she had notified federal investigators about information she received concerning Kavanaugh. The details of the incident and the identity of the person who provided the information were unclear. An FBI statement said the information was received Wednesday evening and then included in Kavanaugh’s background file, which is maintained as part of his nomination. The agency says that’s standard process. The statement gave no indication that the information in the letter was being investigated. — Associated Press writers Lisa Mascaro and Mike Balsamo contributed. Sen. Dianne Feinstein (FYN’-styn) says she’s notified federal investigators about information she received concerning Supreme Court nominee Brett Kavanaugh. Republicans have rejected an effort to subpoena documents on Supreme Court nominee Brett Kavanaugh’s job as staff secretary in the George W. Bush White House. Democrats on the Judiciary Committee say the documents are needed to vet the judge’s record. The Republicans declined to pursue Kavanaugh’s staff secretary documents as too cumbersome, focusing instead on his White House counsel’s work. President Donald Trump’s nominee for the court is the first with a lengthy email trail. Democrats say the records they’ve seen are insufficient. Democrats have tried to adjourn the Senate Judiciary Committee’s hearing to consider Supreme Court nominee Brett Kavanaugh, but Republicans have rejected the motion. Sen. Richard Blumenthal of Connecticut protested as soon as the hearing gaveled opened Thursday. He says the nomination will be “tainted” and “stained” by the unusual process for vetting President Donald Trump’s nominee. Democrats say Republicans, who have the majority, are rushing the proceedings. Republican Chairman Chuck Grassley of Iowa says he already agreed to hold over the vote on Kavanaugh for one week. The panel will vote next week on whether to recommend Kavanaugh for confirmation. Republicans hope to confirm him to the court by Oct. 1. The Senate Judiciary Committee is set to meet Thursday to consider Kavanaugh’s confirmation.